Wow! What a day! 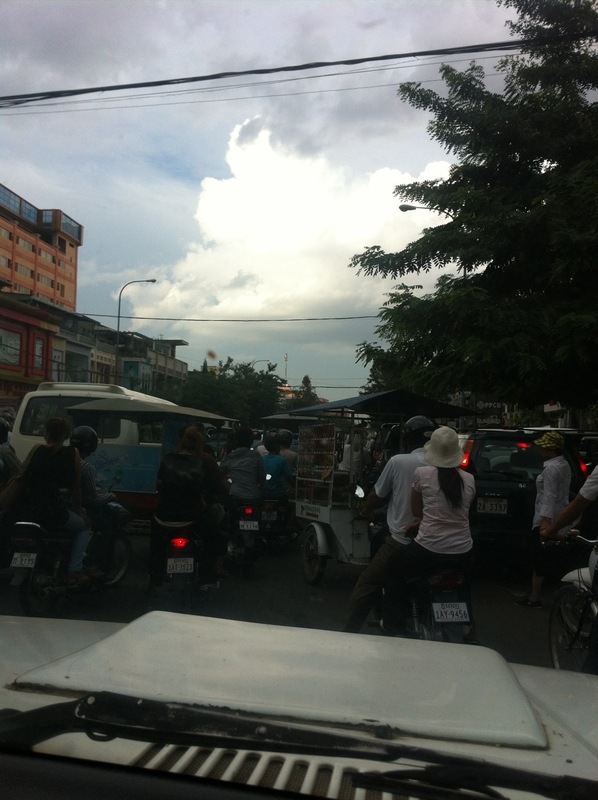 It’s 7:30 pm and I am leaving kampong Cham and going Phnom Penh. It’s been an eventful day. It started early this morning in prayer and study looking over the Me kong river. Went from that to breakfast with Pastor Meng Hong. A good man and pastor with a huge heart. After breakfast we went to the hall where the pastors conference was already in progress. There were 54 pastors in attendance. It was a great day of interaction. I taught two leadership development sessions and then we had lunch and when we returned I taught on marriage and ministry. I found that the same relational issues exist everywhere in the world. It was quite funny. While I was teaching, the team was working at the Hope center. 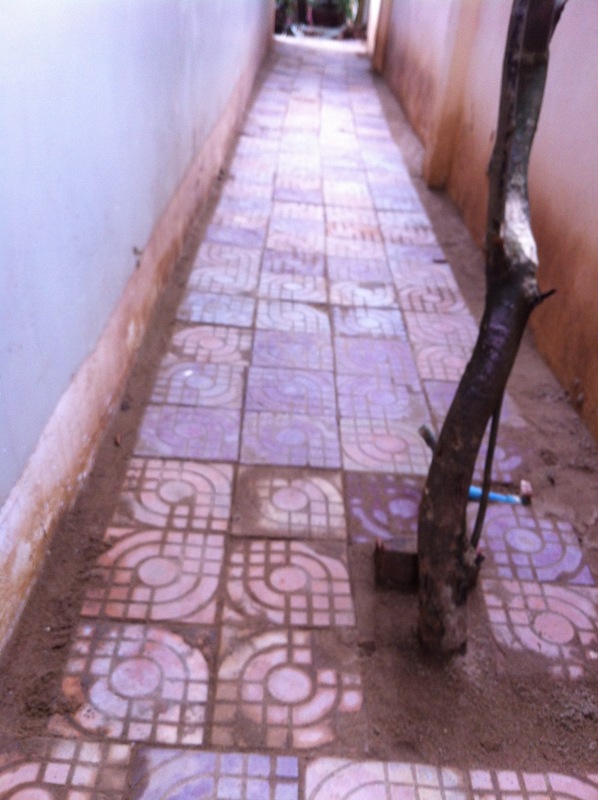 They worked on such projects as painting the gates, creating a new walk way, and two different landscaping projects. Some of the team went to the market to prepare for the party tonight. Buying the clothes, backpacks, school supplies and toiletries. This is not an easy job. Buying for 31 orphans is definitely a major task. A big thanks goes out to signature dental who provided toothbrushes, and toothpaste for all the kids. So the team and I all met back at the hotel and rushed to get ready for the party. This requires, getting all the elements organized all the gift bags filled all the roles disseminated. 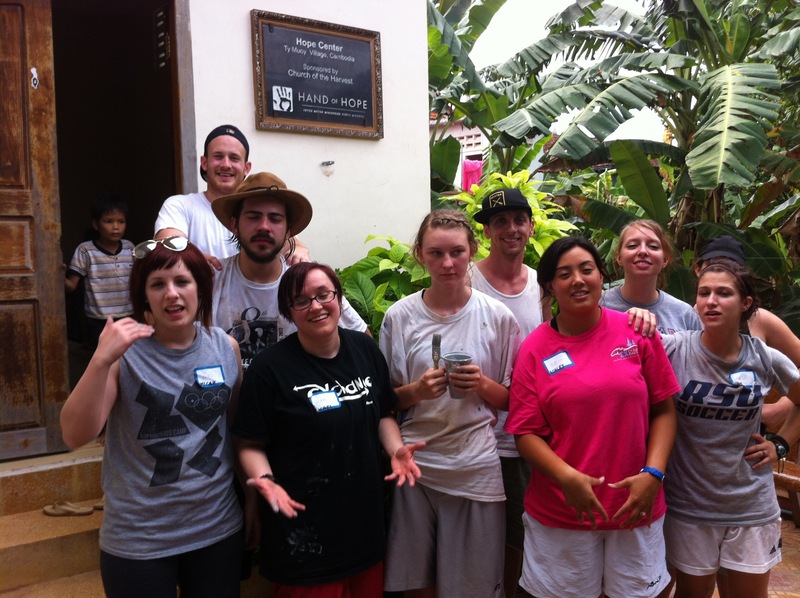 Big Props to autumn and Taylor and our Cambodian coordinator Kimmy. We went to the hall we rented for the party, got the music going, blew up balloons hung up the decorations, set out the stations-coloring, nails/hair/make up for the girls to make them feel special. A balloon station where team members make balloon animals for the kids, a twister station, a painting station, a scarf making session. Just the biggest party you’ve ever seen. They love it. Every year they just get so excited. It’s like Christmas. We party, dance and then have the big gift give away. This year I was only able to stay for the very first part so I left to go to phnom penh. 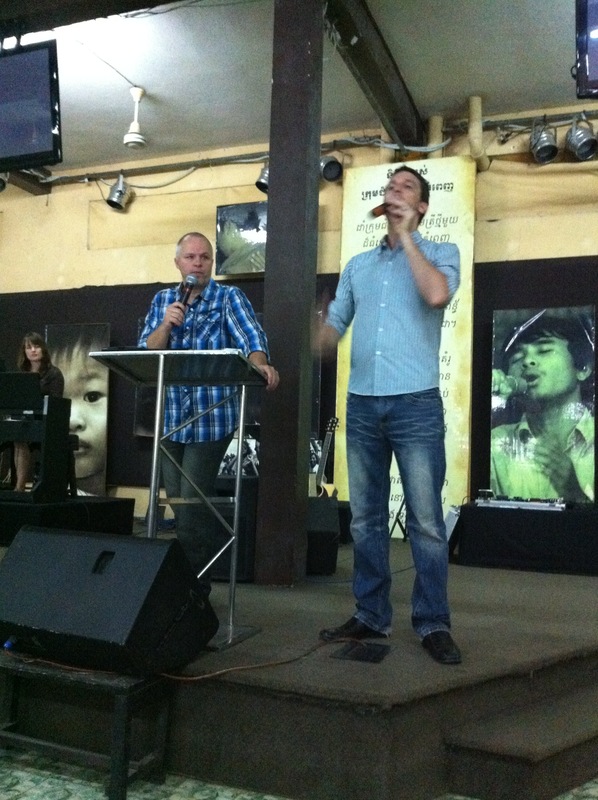 I have an early morning meeting with the staff at new life and then a lunch meeting with the expat teams at new life. Looking forward to all of those. God is so good. All the time! I miss my girls but love what God is doing. At least I have one of my girls with me. The team will finish the party tonight then have a soccer clinic tomorrow with the hope center children. Then we are almost finished. It’s gone fast. I can’t say enough about this team. Each one of them have been superb in every way. Everything you want in a team. Adrienne Jefferis – harvest Okc campus. You should be proud of these committed people who have given their time and treasure to this cause and they have made a difference. Every year when we drive up to the hope center the kids are in the front porch clapping and cheering smiling and so happy to see us, and we are equally as happy to see them. This year there was a noticeable difference. Many of the older kids have grown significantly in the last year. They are so beautiful and respectful and treat us like family. Every year as they greet us and sing songs and introduce themselves, I think to myself where would they be if they didn’t have the hope center. Would some of them be dead. Died of disease or malnutrition, or lack of food? Would some of them be forever stuck in the cycle of poverty, having no education, or decent clothing or medical attention, and never be able to break out. Continuing the cycle into the next generation. Would some be the victims of a heartless trafficker who thinks children are a commodity to be bought and sold for work or sexual perversion? The truth is now they are safe, they are covered. They may not have parents who are alive but they have family in this hope center. 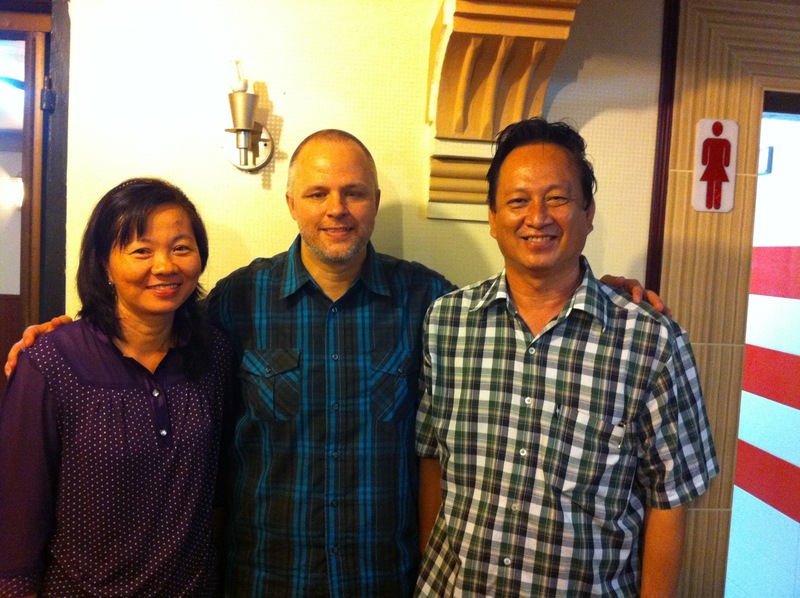 Thank God for Pastor Meng Hong and Vat dei for having the courage and strength to do this. It is our pleasure to help support them. It is our honor to come each year and have a party for the kids and distribute 3 new sets of clothes for each of them, to get them all of their school supplies, to bring them new toiletries. To get them bicycles to ride to school, to do upkeep and new projects around the home, and so much more like a washer and dryer, the installation of indoor bathrooms, an overhang so the kids can play in the shade, painting and reprinting the home, landscaping, sewing machine, to make clothes and to teach the kids. Over these years we have supported them in a significant way by all of this and much more including money to help with ongoing expenses throughout the year. The most fun thing though is what will happen tonight. Tonight we will throw our annual party for them. Something they don’t normally get. We eat together, we dance, we play games, we give them all their new stuff as presents. It’s truly like Christmas to them, and it’s such a joy to us. Thank you! From the bottom of my heart Thank You! If you have supported a missionary if you have given towards projects if you have prayed for us. If you have sent a family member to come. Thank you. This is true religion, this is the heart of God. This is pleasing to the father. The most important thing is that if these kids were not able to be placed in this home they would probably not know Jesus or have heard of him in any clear way. This is great if it was just changing the life of one child but the truth is it is changing the life of generations. Yesterday was phenomenal. I had the privilege of speaking in all the services at the central campus and the team was able to be a part of the opening of a brand new service and campus for new life. They are reaching so many people. 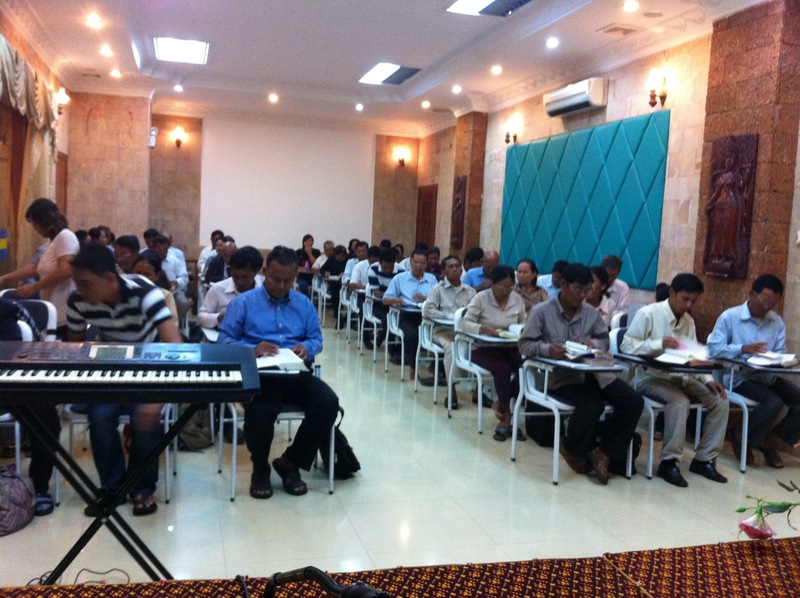 To give some perspective the average Cambodian church that’s 10 yrs old or more averages 20 adults. They started this service with 108 adults. This church is truly going to another level. The service last night was powerful. A huge praise celebration. I spoke on the power of praise and the place erupted in praise. god really touched lives. The team was praying for people and joining in the celebration. It was remarkable to see. 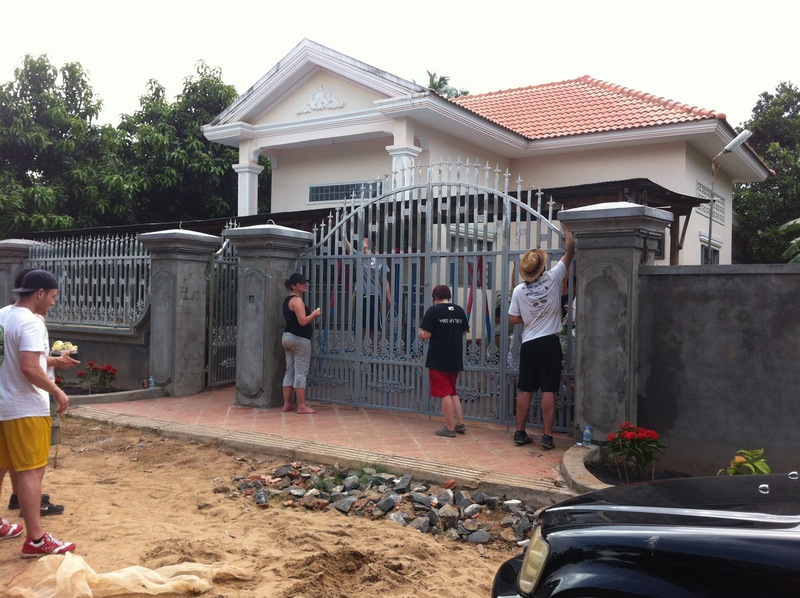 In the afternoon the team was able go to the dump and minister to some of the most impoverished people in phnom penh. It’s hard for many west enters to fathom the depth of poverty in the developing world but it is good for everyone who can to see it and do something about it. We are doing what we can. Needless to say yesterday was a good day. 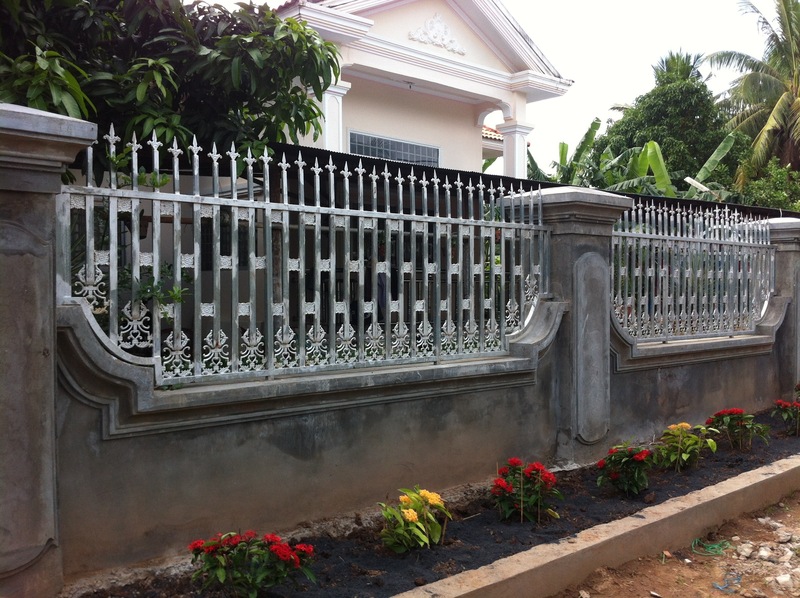 We are going out to kampong Cham today to our hope center there to spend 2 and 1/2 days with the orphans there. We will conduct classes, games, party’s, work on the home. It’s a privilege to work for the kingdom. Team did a great job with feeding program yesterday and ministry at next step houses last night. The leaders here are like sponges soaking up every word and learning how to grow. This church is growing and developing. Definitely going to another level. I’m so encouraged by these leaders and their pastors. God is so good and His church is alive and well. 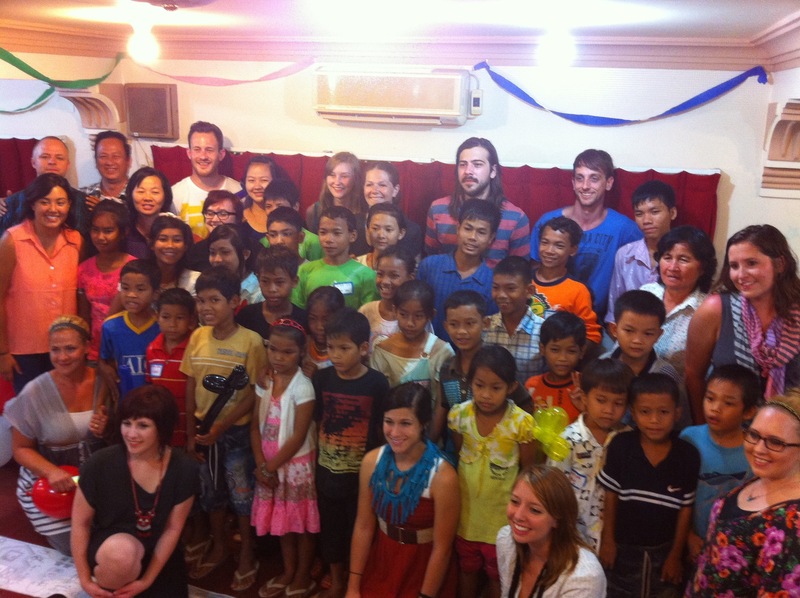 The team is going this afternoon to the killing fields museum then they are leading the youth outreach tonight. Busy, impacting, fun, and exciting day. of travel the team got on the bus and drive 4 more hours out to the province. Jet lagged and tired they jumped out of the bus, played games with the orphans at the hope center, talked to them and were just absolutely stellar. If you’ve never done that than you wouldn’t understand how incredibly taxing and challenging that would be, but we all agreed we were not going to let travel problems stop us from connecting with our hope center. I’m so proud of this team. We were able to bless pastor Sokhan and Esther and their team with resources to help with the amazing job they do with the orphans. This morning the team went with their feeding program team and went to the village to help with feeding village kids who are in desperate need. 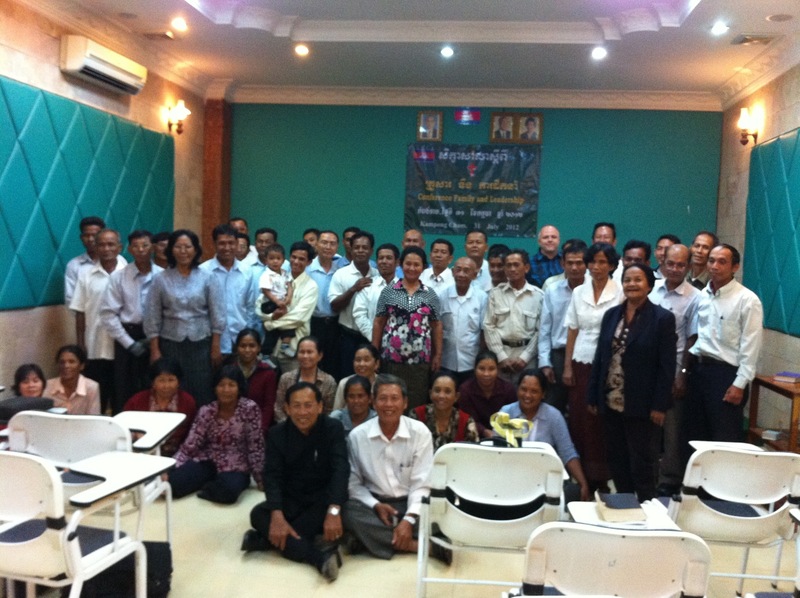 While I traveled early this morning to phnom penh to meet with pastor Jesse and their pastoral team. We had a great meeting. The presence of God was present and blessed us all. They have a team of world changers. This church is truly positioned to influence the nation. Team is on their way back to the city and we will meet up in just a few minutes. We will connect tonight with university students who have aged out of children’s homes. They are orphans. New life has “next step” homes to provide housing and help while they attend university. Great ministry opportunity. Thanks for the support. Continue to pray. Arrived in Tai Pei about an hour ago. The long flight seemed short. Most of the team slept most of the way. 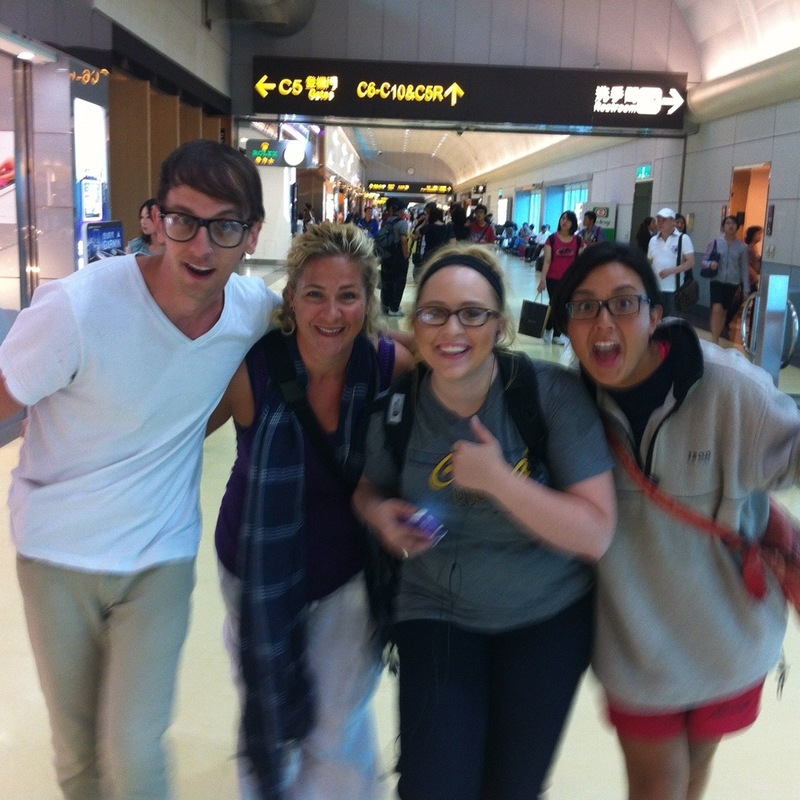 We are so excited to finally be on this side of the world. We will be here for about another 2 hrs then off to cambodia. Because of the lost time we will need to take off to the province almost immediately. So pray for us as this will be a long and tiring day but well worth every second. We can’t wait to see Pastor Sokhan and Esther and all the kids. 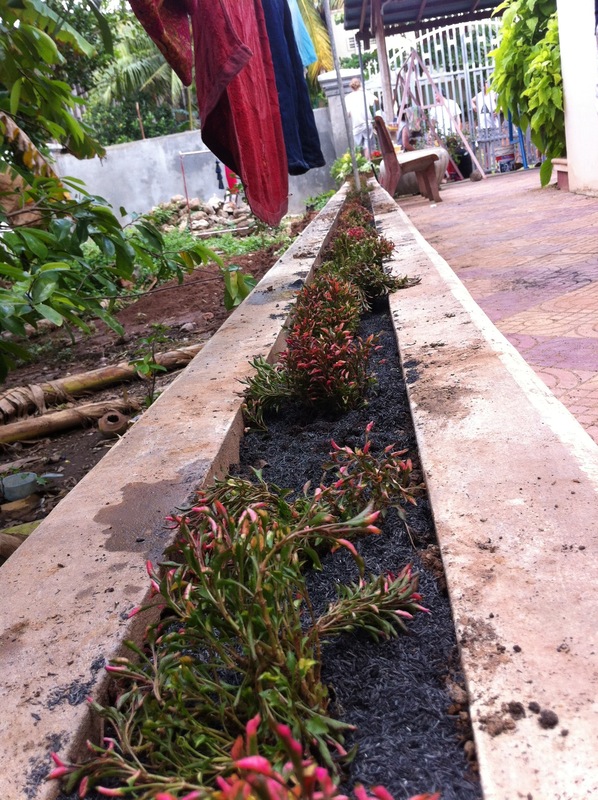 We are expecting a great time and to be able to help them significantly with the time we have. These pastors are so committed, it is our pleasure to come along side and support and resource.